Keeping it clear, keeping it fair . Please visit our Partners and Places, and People to People pages to decide where you want to visit, using our information on estimated costs to help you; then Talk to Andy to confirm that your plans will create the trip you want. Andy will advise you on how to travel between places using public transport, or if you need, by private vehicle. 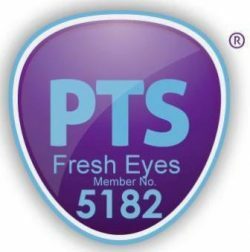 We are committed to being clear and fair with you so you know what to expect from Fresh Eyes, what we can and cannot do, what we need from you to ensure that you can travel on your Just Tour with peace of mind and security. Our booking conditions will enable this. Interbank transfer to our account with the Cooperative Bank. We will share details with you on your invoice. Directly to the Protected Trust Service, our partner for peace of mind for your bookings. Fresh Eyes – People to People Travel works in partnership with Diversity Travel. If you wish, they can book your flights, and for UK based travellers also assist with Visa requirements. We have known Diversity Travel since they were established. They share the ethos and values of Fresh Eyes – People to People Travel and have extensive experience of working with clients and travellers in the charity and not-for-profit sector. As with everything, if you have any questions or things you want to be clarified, just Talk to Andy.